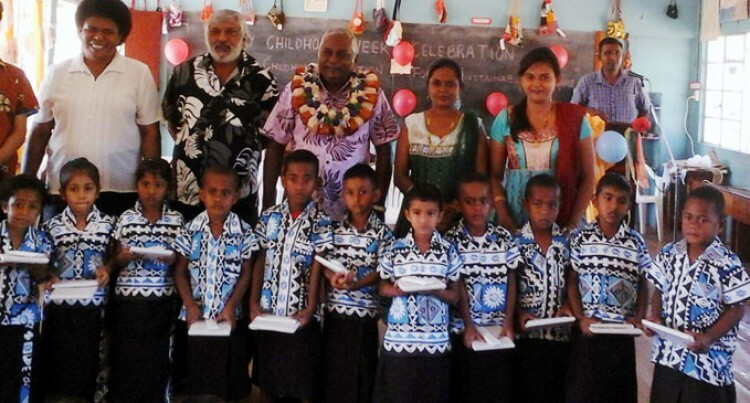 Some of the Sarava Sanatan Dharam School Kindergarten students with chief guest Anil Lal (middle), and teachers. Students of the Sarava Sanatan Dharam School Kindergarten celebrated their Early Childhood week in Ba. Chief guest Anil Lal, a retired headteacher and social worker of Navau, Ba, gave the teachers some tips about teaching kindergarten students. “A teacher should not rush, in other words, should not be worried that some children take more time than most of the others,” he said. Mr Lal told the teachers that developing listening skills in children also helped them developed the skill of remembering and re-telling the story. Mr Lal made some recommendations to national planning on the education aspect pinning the free education for early childhood. He also suggested that the existing teachers be given free opportunity to conduct degree courses. He also recommended a conducive learning environment and the availability of learning resources.